PowerShell comes right out of the box on Windows 7 or higher machines and even comes with it’s own editor the PowerShell Integrated Scripting Environment (PowerShell ISE). PowerShell ISE allows you to edit PowerShell files which includes code highlighting and IntelliSense and run them in Debug mode (F5) or running the selected code parts (F8). It is even possible to set breakpoints (F9) which should make C# developers feel right at home. 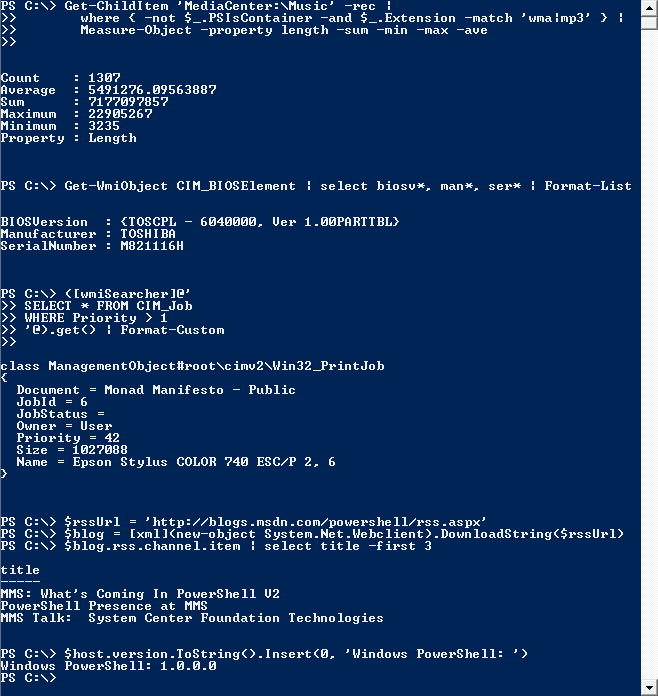 An interactive PowerShell displays the output of the running script. The shell also comes in handy while debugging your code. At a given breakpoint you can inspect the variable by typing it's name into the console. There only rant I have about the PowerShell ISE is that the console not be reset. The only way this can be achieved is by restarting the editor and having to open (all) the files again. As a C# developer the daily driver usually is Visual Studio. If you can’t bear the thought of using a different Editor. Well you are covered. The experience is much like with the PowerShell ISE. So if you have any Visual Studio Plugins such as VsVim you do not want to miss this may be your preferred route. If you haven’t installed PowerShell during the initial installation of Visual Studio. You can add PowerShell by modifying your Visual Studio installation. Open Programs and Features, choose Visual Studio and then select Change. In the dialog select Modify and choose PowerShell Tools for Visual Studio. Finally select Next.You might want to get a cup of your favourite beverage while the installation is taking place. Visual Studio will create it’s usual Solution and Project files. This will result in some extra clutter that your average PowerShell developer might not recognise. Keep this in mind when you check those files into your repo. PowerShell is usually run on top of the .Net Framework. As of lately PowerShell also supports running on .Net Core. This means your PowerShell scripts are not limited to Windows. You can write them also for Apple and Linux machines. One of the PowerShell editors of choice for Linux and Mac, would be Visual Studio Code and the PowerShell Plugin for it. You can see an extensive description on how to use PowerShell with Visual Studio Code on the msdn website. Since PowerShell runs on the .Net Framework, why should we use PowerShell in the first place? Wouldn't it be easier to just write the code with C# in the first place? One of the best arguments in my opinion comes from the reason why PowerShell came to be. It is designed from it's roots up to automate IT tasks. There are many hooks in the OS or other major Services. Active Directory, IIS, Exchange and many more provide interfaces that can be consumed with PowerShell. So if your task is to automate a Windows environment, PowerShell will be able to consume and interact with many existing APIs. Making the task easier and less time consuming. A fun fact is that the UI for configuring IIS actually performs PowerShell commands in the background. The identical commands are used when invoking them through a PowerShell script. Since we are writing infrastructure code there is a good chance that an Ops person will end up maintaining it. There is a good chance that this person has an interest in putting in the effort of learning PowerShell. Since it is their day job and PowerShell is sought out to enable them during their daily tasks. Jup that is it, one line and we are done. In the next post we will dive into the basics of writing PowerShell code.